What is a muhurta, “Hindu astrology” versus “Vedic astrology”, analysis of the Gemini ascendant of the muhurta, the differences between Hindu and Western Astrology, planets in detriment, planetary aspects, the two zodiacs, subtleties of planetary aspects, dispelling mistakes of the intellect, malefics in upachaya houses, malefics in exalted and own signs, Rahu and Ketu well-placed in Gemini and Virgo, Moon in the 8th house of our muhurta, when planets in 8th and 12th houses give good results, other muhurtas that were considered for this project, how malefic planets affect upachaya houses. Why there are so many different Jyotish viewpoints, Shiva’s curse on astrologers, why ancient texts are cryptic, transits considered from the Moon versus the ascendant, functional benefics and malefics, James Braha’s horoscope, planetary friendships and enemies, using karakas to assess each horoscope, neechabhanaga and vargottama,Martin’s natal and dasamsa charts, astrology and genetics, Raj’sbusinessman chart, Parivartana Yoga or mutual reception in Martin’sand Ram Das’ horoscopes, interpreting “mixed” charts and “wild card” influences, planets receiving fallen aspects, planets as deities, analysis of dasa and bhukti planets in “mixed” condition, Mercury retrograde effects, the importance of the Moon’s nodes in Western astrology. 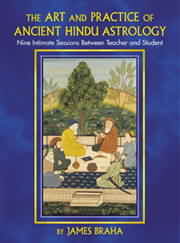 Daily planetary rulerships, Mercury retrograde periods, List of effects of retrograde planets ruling houses, retrograde planets in houses, retrograde benefics and malefics, retrograde planetary aspects, Roberto’s horoscope with exalted Jupiter conjunct fallen Mars, applying versus separating aspects, the responsibility of an astrologer, list of priorities of positive planetary positions, Robert De Niro’svarga chart summary, list of priorities of negative planetary positions, list of what makes a house well-disposed, list of what makes a house afflicted, proper use of the ashtaka varga system,list of what makes a chart well-disposed, what makes a chart weak and afflicted, how to analyze a conjunction involving one exalted planet and one fallen planet, Bill Clinton’s horoscope, the importance of planetary orbs. Introduction to Sade Sati, the power of stationary planets, JohnKennedy’s horoscope containing two stationary planets, TipperGore’s horoscope with stationary Jupiter, what happens when benefics ruling bad houses throw aspects, Robert De Niro’s horoscope, Deborah’s stationary Mars, using prasna charts, interpreting kujadosha or mangaldosha properly, Hank Aaron’s horoscope with stationary Jupiter, analyzing planets that receive very “mixed” aspects, John Kennedy’s extremely “mixed” Mercury, how to use Panoti Yoga to properly judge Sade Sati, three Sade Sati and Panoti Yoga examples from JamesBraha’s horoscope, how to use marakas properly, why the ayanamsa is critical for Panoti Yoga, examples of Panoti Yoga using B.V. Raman’s and Sri Yuketeswar’s ayanamsas, the story of Rahu and Ketu, Kerry’s chart with 11th house ruler conjunct Ketu, how malefic planetary energy can be used wisely, effects of equinoxes and solstices on people’s health, using the horoscope to determine a person’s spiritual path, the difference between readings given by Westerners and Indian Jyotishis, the story of Lord Ganesh. Why memorizing accurate meanings of the houses is critical, common pitfalls of house misinterpretations, astrologers who “mix and match” house meanings, the need to question astrological authorities, the importance of the Sun and Moon, why an afflicted Sun or Moon can still give good effects, the Sun as atmakaraka, details of houses one through six, Al Gore’s chart, Fidel Castro’s chart. Intuition in astrological practice, karakamsa horoscopes, details of houses six through nine, John Lennon’s horoscope and the difference of opinions over his accurate birthtime, Vashti’s horoscope, how astrologers misuse marakas, details of houses ten through twelve, David Stockman’s chart..
How to determine whether a varga chart is reliable, how to analyze varga charts, Deborah’snavamsa chart, a list of key points to be used when analyzing career, importance of Moon and ascendant ruler, a list of houses as they relate to career, a list of key points to be used when analyzing health, a list of houses as they relate to health, a list of key points to be used when analyzing marriage; natal and varga charts of Henry, John, and Annie; how to determine a waxing or waning Moon. Neechabhanga fails to work in the charts of Al Pacino, Werner Erhard, Francis Coppola, and Charles Braha. Four Vargottama planets that are ineffective in James Braha’s chart, planets in their highest degree of exaltation, planets in their worst degree of fall, example charts of Jack Nicholson, Albert Einstein, and Mick Jagger, what happens when Venus in Libra is tightly conjunct exalted Saturn, Orson Welles’ chart containing exalted Venus tightly conjunct malefic Mars, why the condition of a malefic planet has nothing to do with the aspect it throws, what happens to planets conjunct Ketu. Class Nine - Upayes. Gemstones, Mantras, and Yagyas. Wedding Muhurtas, Compatibility Charts, and How to Analyze a Stellium of Planets. Why there is no agreement on prescribing gems, the purpose of a gemstone and how it works, four points about prescribing gems that are traditionally agreed upon, a list of “secondary” stones, James Braha’s rules for prescribing gems, how mantras and yagyas work, why there is no such thing as wrong mantra chanting or a wrong yagya, why mantras or yagyas should be performed in cases where a gemstone could produce harm, explanation of Brighu readings and how every Brighu reading contains a yagya prescription, a list of astrological concerns when choosing a wedding muhurta, the wedding muhurta for James and Vashti, compatibility and synastry charts, why the kuta method of compatibility is ineffective for Westerners, how to analyze a stellium of planets in one house of a horoscope.